Displayed in neutral tones, suede is here to stay for spring. During fashion week, Olivier Rousteing showcased the Balmain show with outstanding suede pieces that have quickly become inspiration for illustrious trendsetters. 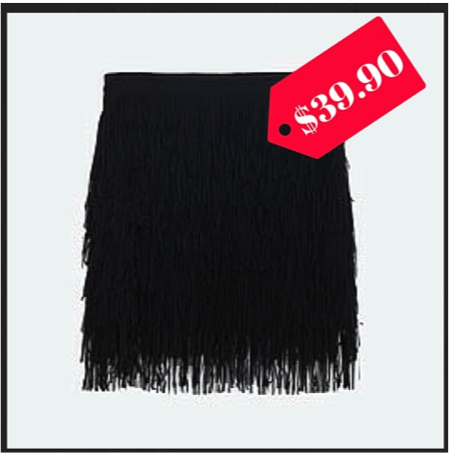 Fringe has been trending for a few seasons now, and can be seen in almost every style of garment. This season, fringe detail is added to garments to highlight the softness – think hemlines, jackets, shoes, and subtle touches to bags. From last summer to this spring, delicate off- the- shoulder tops and dresses have empowered the runway. This silhouette gives any look a romantic finish, while fostering a relaxed fit. This will be valued as the temperature rises, leading to summer! Whether you choose soft suede, details of fringe, or a delicate silhouette this spring, step boldly into the season and embrace your unique style. Delaney Murphy plays multiple roles and can be described as a modern ‘renaissance woman’. She is a Merchandising and Digital Retailing student at UNT, and is known to the members of NRFSA (National Retail Federation Student Association) as the President of the organization. She is also known as a philanthropist, sustainability advocate, DIY clothing restorer, art appreciator, and NRF Shop.org attendee. This fall, Delaney felt it was important to unite NRFSA members and the CMHT (College of Merchandising of Hospitality Management and Tourism) community with a sustainable cause. Therefore, she recently completed a Blue Jeans Go Green denim donation drive at UNT. The donations supply Cotton Inc. with denim that is transformed into insulation for homes. Through this manufacturing process, the lifecycle of the jeans are extended with a new purpose. Sitting down with the President of NRFSA herself at West Oak Coffee Bar, Delaney and I discussed the drive’s impact on sustainability and the learning process involved in running a successful clothing drive. Tell us about your collaboration. How did you get the idea for NRFSA to be a part of this? I’m president of NRFSA, so I was kind of looking for a project we could do. We normally just have our meetings and don’t do outside events. We’re more of a national level [organization], so we don’t have as many local [activities]. I heard about the project through my cousin. She was a merchandising student at Texas Tech and the club she was in had done it a couple years ago. I had been thinking about it for quite a few years actually, since my spring semester of my Freshman year. Back then, I was like, okay, well if I get to be the president of NRFSA I will do this project. I contacted them on their website and they were really excited about what our school does. We started talking about it in May and the project started in October. I had to learn how to plan promotions [and] all the logistics of it. It was a bigger project than I realized! Is Cotton Inc. the insulation manufacturer? Cotton Inc. is the one that oversees everything. Blue Jeans Go Green is a part of Cotton Inc. [They] work with another company that makes the Ultratouch denim insulation, and you can buy it in stores like Lowes. You can also apply for a grant to receive the insulation through Habitat for Humanity. [Essentially it’s an environmental alternative that’s] diverting a lot of waste. 600 tons of waste has been diverted since they first started the program in 2006. Can you describe the process of how the jeans are transformed into insulation? [The denim goes to Arizona where they make the Ultratouch denim insulation. It’s shedded up. They take out all the metal and any additional embellishments or closures. They combine the [cotton with a] binding agent, which makes the insulation mildew resistant, mold resistant, and capable of meeting all the standards [to be] flame retardant. It’s a safe alternative to the traditional insulation, which is the pink fiberglass that is itchy, hard to work with, and [less healthy] for the lungs. Are charity homes the only homes that can use the insulation? The insulation [benefits] houses for Habitat for Humanity, but it can be [used in] any house. It’s also used for other types of insulting. I know it’s a good sound insulator [since it] has a good rating for sound absorption. [The insulation is essentially] denim that would probably end up in a landfill at some point. That’s the end of the game. At least as insulation, [the denim is helping to] keep a house warm. It has another purpose. It’s a cool way to do things, and that’s why I got on board with the whole project. You mentioned that Lowes sells the insulation. Is that the only retailer that sells it? I think Home Depot does as well. You can basically buy it at any [home improvement] retailer that sells insulation. It’s not as common to find it [since] it’s not as traditional and it’s a newer thing. Blue Jeans Go Green has collected a million pieces of denim since they launched, and created 2 million square feet of insulation. [An interesting fact is] it takes 500 pieces of denim to insulate one house. What exactly did you have to do to prepare for the drive? Starting off, we thought, okay, what kind of promotions do we want to use? They gave me a big list of things that they definitely thought we should use, like flyers. We used some online promotions, t-shirts, insulation samples, and the [Cotton Inc.] branded sunglasses we handed out. I think we were just trying to figure out the best way to reach our audience. I didn’t know a lot about the specifics until probably September. [The company told us] you need to do a few tabling events on campus, you need to a community event... so they had a few different requirements. They give you a layout of the program, because it is an assigned program they do every fall with different universities. This was the first year the drive was held at UNT and you received quite a few jeans. What was the final total? We received 288 pieces of denim plus scraps. I found out a Honda CRV can hold at least 288 jeans! We put it all in one box and was shipped off [to] Missouri. At some point it ended up in Arizona where it is actually made into the insulation. What common trends did you find in the donations? Some of the trends I saw were colored denim, patterned denim, and some of the Miss Me [jeans with] eccentric bling... and skinny jeans. We had a lot of skinny jeans. When I got jeans from the consignment stores that [came from a] older group of donors, I saw a lot of dad jeans and thought oh my dad actually has a pair just like these. For the older men it was that 80's acid [really light] wash.
Do you think that has anything to do with the flared leg trend we’re seeing with denim at the moment? I think every time you have a trend, there’s a pendulum swing. I think we have flared jeans coming in [because the] 70's are coming back. [But sometimes] you want skinny jeans [as] something a little skinnier [to tuck in to] boots. I think that’s why I saw a lot of skinny jean [donations]. Currently, what’s your favorite denim trend? I wear jeans, but I have a very classic style. I don’t invest my money in trends right now. It doesn’t make sense for me to do so. I try to go for something I can wear for a long time and make use of. It’s the whole sustainability concept. [I don’t prefer the] fast fashion strategy of just throwing things out. Personally, I like to invest in something that is going to last a while. Quality is important to me, but of course you want it to be fashionable. I don’t want to be wearing mom jeans. I’ve probably had the same pair of jeans, since I was 15, so 4 years now. I like the jeans that have a different flare to them. I go with the classics. I like a good dark wash jean that fits well. I try to reuse pieces of apparel. I like to tear clothing apart and re-piece it back together, cut a hem, or add trimming to a hem. I try to reuse [the product], so I get a little more use out of whatever the product might be. Yesterday, I found this shirt I had for a while. I liked it, but it was a little out of style. There was lace on the arms, and I took off the lace to make it more simple, because it was too much. Now it’s a cute top I can wear again. I have used [old pieces of garments] for costumes. My mom had an old bridesmaid dress and that turned into the Elsa costume! Which denim trend do you wish would make a comeback? I can tell you things that shouldn’t come back. I don’t think 80's jeans should ever come back. I’m going to go back to the classic style. It’s always going to be around. I like the style of jeans from the 50's with the cuffs. I know highwaisted kind-of made a comeback, but it was more like 90's high-waisted. I hope low-rise doesn’t come back, but it looks like low-rise bell bottoms is what we’re going to have. Personally, I can’t do flared jeans because I trip. I’m not coordinated enough. Of course, certain styles are better on certain people. If there’s a denim trend at all I would say wear what fits your body type, and wear what makes you feel good. I would rather see less jeans that [cater to just] the ideal and more jeans that actually fit people. It’s the eternal struggle for women to find jeans that fit. Let’s make some realistically [fitting] jeans here! As a digital retailing major, can you comment on the new technology that is capable of scanning your body to help you find the perfect fitting jeans? Right now it’s not there. The technology exists, but it’s not ready [since it's] not as accurate as it needs to be. Another 5 years or so, maybe then we can change that. It’s a cool idea. It might work for a very small number of apparel items, but it’s not developed enough to really make a difference in the market. Delaney poses on the steps of Chilton Hall with her dog, Paris. Do you know of some apparel and accessory companies who are making progress with sustainability? H&M is trying to recycle. They’re trying to make their clothes sustainable. The key word is ‘trying’. I mean there are some other companies like People Tree. They’re based out of the UK and are featured in the documentary on Netflix, The True Cost. They are very much about sustainable sourcing. You have other companies like REI and Patagonia who try to be sustainable [innovators]. There’s a lot of companies that are doing a good job, but aren’t as well known right now. I always find little small scale companies that are trying to make a difference and I definitely try to support them. I feel better when I buy from those companies, because you can feel good about what you’re getting. When you see pictures of the women who actually made your shoes, that’s so cool. Recently the owner of Symbology came into our pre-internship class. They do traditional stamping and have really cool patterns. I think in the next 5 years you’ll see more companies moving more towards sustainability. It’s not even a trend, it’s a movement. It’s a consumer movement. It’s generational. Millennials and Gen Z are very conscious about that. When I’m shopping I think about, what do I know about this company? Transparency is a huge thing. Ten years from now you won’t see companies around who aren’t transparent... because people want to know [the origins of their clothing]. What did you learn through the process of planning the donation drive? I learned a lot about several things. I learned about promotions, about organizing events, there was a lot of red tape. I had to contact like 5 people just to get a bin in Chilton Hall. [The logistics] was probably the biggest challenge. I had to contact UNT... I had to contact student activities and get [tabling] events set up. It was a challenge, but we made it work. What is your next philanthropic venture? Honestly, I’m exhausted after the last month. I’m [going to] have a break from large scale events. My next step is to find ways to help in the different areas I care about, and continue recycling and buying more sustainable products. It’s a new thing [companies are] trying to break into, and it’s important to support people who are trying to do the right thing. It’s about gradual changes in the right direction. There’s little things you can change on a personal level, but companies especially [can make a big impact]. How will this drive help prepare you for work in the fashion industry, as well as to lead a more sustainable life in the future? It’s really hard to (gain) experience in [the] area [of sustainability since] it’s such a new concept for the industry. [Sustainability is] one thing I’m trying to figure out how to get experience in. [This project has] allowed me to get my foot in the door. It gave me a lot of insight into recycling... to be able to use innovative technology [within] the fashion industry. It gave me hope [of potentially pursuing a career in] sustainability and fashion. [The fashion industry] gets the stereotype all the time that it’s a very materialistic industry, but I thought this [project would bring things] full circle. [We’re] selling the denim. We do the merchandising, the buying... so it’s kind of cool to see how the life of this product continues. For those interested in joining NRFSA, how would one become a member? We have our monthly meetings on the last Wednesday of every month from 5-6 PM. Dues are $20 for the entire year, so it’s a one time $20. Next spring it will be $10. You don’t have to be a member to show up to the meetings. You have to be a paid member to apply to The Big Show or Shop.org. It’s not a huge commitment. For what you receive, it’s totally worth an hour of your time. We have great speakers come in. We have graduate panels. It’s great networking and that’s what our organization is about. One of the officers last year met Stacy London and Martha Stewart at the previous Big Show. [Last year’s] student challenge team created a product for The Container Store and met the CEO and chief merchandiser of The Container Store. There’s a lot of opportunities getting into the industry. You get a chance to give your card to [recruiters]. I gained a lot of knowledge by speaking with Delaney about the importance of sustainability in the fashion industry, as well as how consumers and retailers can make an impact. Sustainability is a vital cultural trend amongst upcoming generations that must be recognized by industry leaders who aspire to succeed in the future. Soon enough, merchandising and digital retailing students will have a say in how retailers are to ethically respond to consumer demands for sustainable fashion and labor practices. By participating in the Blue Jeans Go Green donation drive, NRFSA president Delaney Murphy allows students to be a part of the movement for a more sustainable world. Interested in studying abroad? If you have a desire to travel and experience a new country while furthering your education, then studying abroad is for you. Fortunately, the merchandising department at UNT has more than one opportunity for students to travel abroad! For this months article, I've collaborated with a few of my favorite people, including Mrs. Zorola, Senior Lecturer and faculty leader of the Hong Kong/China Study Tour, and one of my best friends + frequent flyer companion + NuView Careers Editor, Fernando Zamarripa. In this two part blog post, we will be share thoughts, experiences, tips, and personal media from our study abroad trip to China and Hong Kong. I hope you will explore this post with an open mind, and come away with a desire to join the club of student globetrotters! Expect the weather to resemble that of Texas…only more humid! Hong Kong is a subtropical city, that experiences frequent thunderstorms in the summer months. The weather is not as humid as in Hong Kong! However, the temperature is warmer. As Fashion Editor of NuView, I understand the need to incorporate personal style into one's travel wear! expressing your personal style without having your whole closet to choose from can be quite challenging. Therefore, here are several packing tips for maintaining personal style when traveling to Hong Kong/China. Plan your outfits ahead of time by putting together potential looks that will be appropriate for your daily activities. It is worth noting that I did occasionally swap certain garments according to unexpected weather changes, so make sure to pack a few easy, mix & match options. This tip saved me time, luggage space, and the stress of not knowing what to wear. Check out some more of my looks in this video! Interested in the trip yet? If so, you're in luck! Mrs. Zorola was kind enough to answer a few frequent questions, along with some not-so-frequent questions that may have skipped your mind! What are your best packing tips for Hong Kong/China study tour? Mix and match your wardrobe and plan for ONE pair of dressy shoes for professional appointments and then coordinate your outfits around that. I always select my shoes first, “These light tan kitten-heel shoes,” and then I choose outfits that will match those shoes. If I choose my outfits first, I may find myself needing 2-3 different pairs of shoes. Also, in terms of maximizing your luggage space, I roll all my clothing instead of folding. For one, it saves space, and two, your clothing won’t wrinkle as much. Choose clothing that is light, packs small, and is easy to wash and quick to dry. Think synthetic. Yes, they are hot but they will wick moisture and wash/dry easily and quickly. Place liquid items into small plastic baggies in your carry-on. If anything breaks or bursts open, then the damage is contained to the items in the small baggie. No baggies, and the mess goes everywhere. Large baggies, and the mess still gets on a lot of other product. Use SMALL baggies. What aspects of your everyday routine do you miss the most when traveling abroad? Having access to my entire facial product routine. The weather can wreak havoc on your skin, so I make the investment to buy travel size of everything I need, or buy small bottles to take as much with me that I can. I cannot find my preferred line of products overseas so I need to try and take it with me. Also, not really related to packing, but I miss my fitness and nutrition routine the most. I work out 6 days a week and calorie/macro count every day. Practically impossible to do overseas on such long, tiring days, and when I’m eating new foods. But it’s worth it! What is the most challenging part of packing for the study tour? I would say accounting for everything you will need across 16+ days. You can’t imagine what you’ll need when you haven’t traveled overseas before. Start a list now and add to it as you think of things. Choose a day to carefully follow your morning routine. Write down everything you use. I washed my hair so I need shampoo and conditioner. Then I put X-product in my hair. Then I wore a pony tail so I need hair ties. Then I cleaned my face with cleanser so I need cotton balls and facial cleanser. Etc. etc. What should students be aware of when purchasing items to bring home with them? Every time you want to buy something, remind yourself that you will need to carry that home. Is it worth it? Do you want to deal with it? Will you be heartbroken if it breaks? If so, can you possibly ship it instead? Do you have any helpful tips for mixing and matching with items you've packed? As noted above, start with your shoes, and build your outfits around that. I take 3 pairs of shoes with me: 1 for professional appointment, 1 for factory appointments that can double as my casual shoes, and 1 for working out. What fiber blends should be avoided when packing, and why? Are there any particular fabrics you recommend for traveling on the study tour? Where do you recommend shopping in China/ Hong Kong? I rarely shop for clothing while in Hong Kong or China because the sizes don’t fit me. In terms of souvenirs, I recommend for students to wait to shop in Beijing so they are not lugging around souvenirs for the next week and a half. In China, they will be more affordable. Also, we usually make a stop at a Chinese art gallery where many pieces are painted by the students and teachers of a local art school. The prices are great for a meaningful, one-of-a-kind piece. What are your tips for shopping at Pearl Market? Walk away. You can easily walk away and they [the vendors] will quickly come down in price. I have heard that you should only pay about 10% of the original price they offer. For example, if you want some Beats headphones and they offer $500RNB, you should be paying closer to $50RNB. Also, if you can, buy in quantity. If you buy multiples, you will often get a better price. What excursions or activities do you suggest checking out when shopping? Many of the shopping centers will often have free exhibits you can visit. Last May, there was a French shoe exhibit in one of the shopping centers. Also, I recommend getting out into the parks to be around the locals. That will give you a true flavor for the country you are in. Personally, I love to try different food. So visiting different restaurants is fun for me. Again, the local food is a great way to experience the culture. What is the best gift item you've purchased? Are there any gift items you suggest buying or not buying? The best gifts I have purchased were at the Chinese art gallery because those were one of a kind pieces. Something that won’t break, and can be hung on the wall to look at and enjoy every day. Also, I like to buy things like Chinese candies and pretty Chinese-style bags. I fill them with candy and pass them out to my nieces and nephews. It’s inexpensive and they love getting a bag full of candy. I recommend not spending too much money on anything counterfeit. Know it won’t last. Handbag straps will bust, jewelry will tarnish, sunglasses will break. If you are OK with the item not lasting long, then that is fine. But don’t be surprised if your handbag doesn’t make it home without ripping first. Tell us... what are your tips for haggling with vendors? Is it even worth the effort? I don’t like haggling much. I’d rather just buy something and move on. 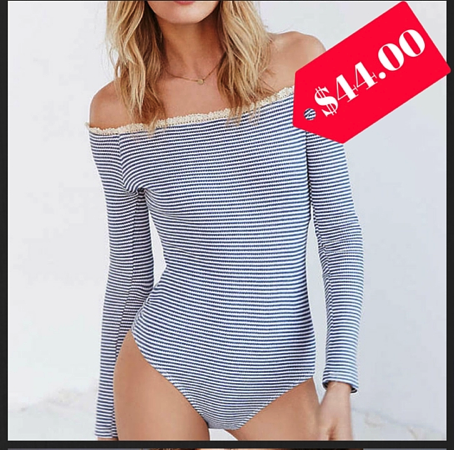 You still want to haggle some, but why spend 5 minutes trying to get them down from $50RNB to $40RNB when that is barely ONE American dollar? I always figure that dollar means more to them than to me. Granted, I am sure they make a killing in those markets, but I don’t have the patience to spend 5 minutes to save an extra dollar. What type of attire is appropriate for professional appointments? Business casual is what I advise to students. Conservative shoes that are either flat or with a low heel. No low-cut blouses, skirt and dress hems all the way to the knee, no sheer fabrics, and you should be able to sit in your clothing and retain your modesty. No overly tight clothing. And attire for the factories? Pants or capris. No skirts, no open-toed shoes, no active wear, no bra straps showing. Although we will be in factories and sweating quite a bit, our tours are often lead by the factory owner and we want to make a good impression. Also, imagine if you were working full-time and your employer sent you to China to spend a week in the company factories. You wouldn’t be able to take a day off and show up in workout pants, hair in a top-knot, and no makeup. You still have to look appropriate at all times. What are some questions that students should ask at the appointments? I believe that almost any question is a good question. [The question] should be focused to the process seen in the factory, and it can be related to the people or workers. Just remember that a question should not be asked for the purpose of embarrassing anyone or putting anyone on the spot. We are not there t =o challenge their systems. Remember, they see things from a very different perspective than us. What is important to us, may not be important to them, and vice versa. What's your top tip for how students can make a positive impression during the appointments? Show interest! Don’t engage in personal conversations or hang at the back of the group. Show urgency. Stay at the front, ask questions, and take pictures (not selfies). The best thing you can do is ask questions. They want to answer questions, and if there are no questions, then it might be misconstrued as a lack of interest. What do you hope that students will gain from this trip, both personally and professionally? Personally – I hope that students will understand the challenges that our American consumerism is causing around the world, not just in China. So many of the manufacturing and logistical challenges are due to the consumers’ strong demands for cheaper and faster product. The choices we make have a real effect across the world. It’s not just a $5 t-shirt or a $12 skirt. It’s very well someone’s life and livelihood. We have to start making better decisions that can help improve the fashion industry. There’s a place for fast fashion but there is so much more than just that. Professionally – I hope that students come away with a great overview of the supply chain. I want students to see how everything works together and how one area affects another. What visit are you most looking forward to during this summer's upcoming study tour? We will be visiting a denim dye house, so I’m looking forward to seeing something I have never seen before. Also, I know there are Nike factories in Dongguan and I am still trying to see if we can find a connection at one. In China, everything is about relationships, so unless I can find a connection into a factory, I likely won’t be able to cold-call and request a visit. Which city is your favorite to visit on the study tour, and why? I love Hong Kong! The city comes alive at night, there are great museums to visit, lots of wonderful places to eat, it’s easy to get around, and it’s a great mix of people from all over the world! It mixes the new with the old. You can be in some of the most luxurious shopping centers in the world, and then in an hour be at the top of a mountain visiting the Big Buddha. It’s fascinating! I love that mix of history and future. What is the most valuable thing you have learned from the study tour trip? The most valuable thing I have learned while traveling in China is that if you want to know about the local culture, just ask! People want to talk to you and share what they know. You cannot believe everything you read about a country from the local media. You have to experience it for yourself. If you have pre-conceived ideas about China, lose them! Travel with us and experience the country and the people for yourself. You’d be surprised to learn how much you thought you ‘knew’……was actually wrong. What about the study tour do you cherish the most? I cherish the friends I have made. It’s a little like a homecoming when I visit again. The people I have met in China are beyond kind! They go out of their way to make you feel welcome and comfortable. They think of everything, they are the perfect hosts! I’m always excited to see my old friends Billy, Bun, Yin, and Andy. They really are some of the most beautiful people I have ever known. Interested in traveling to China and Hong Kong? Email Mrs. Zorola at mzorola@unt.edu. There is still room for 18 students, but keep in mind that once the applications are up, you'll need to move fast in order to secure a spot! Lastly, stay tuned for Hong Kong/China Study Tour Reflection (Part 2) which we will be sharing later in December with even more tips! Preparing for an interview for your dream job or internship can be nerve-racking and intimidating. Feeling confident in your communication skills and resume content are the first steps! The truth is, whether or not you are wearing a professionally appropriate outfit has a significant influence on the impression you leave behind. What does your business attire say about you? Unsure if you are wearing the right attire in a certain professional setting? Wondering what to wear to a networking event? While attending a conference? Presenting a project in class, or volunteering backstage at a fashion show? Finding an appropriate and trendy outfit for an interview or networking event can be bothersome and time consuming. Debating between wearing a formal suit or a more conservative dress can leave your head spinning! Don’t sweat it. In this post, we will talk about which pieces are appropriate to wear to various professional occasions and provide you with some outfit inspiration. Also, you’ll be happy to know that all of the pieces included are under $50! When attending a networking event, you can expect to dress in business casual attire. Networking events are an opportunity to connect with professionals in a more formal environment, but this doesn’t mean you can’t incorporate some individuality into your outfit! A business conference can entail a great deal of standing, walking, and talking with others. Wearing a comfortable outfit is important, as well as an appropriate one. A business casual outfit is appropriate for this event. Whether you are presenting, interviewing, or just in attendance, packing a blazer is always a good idea. When presenting a project in class or in the boardroom, it is important to not wear bold colors or risque styles. You should want the main focus to be on the project you worked hard to prepare. Be sure to consider how far you may have to walk to class, along with the duration of time you will be standing to present. If you'll be on your feet for a while, wearing comfortable shoes is a must! Also, skip the noisy bangle bracelets that will cause distraction if you use hand gestures. Working backstage at fashion shows can be fun, and also a great learning experience! Wearing the correct attire will show your respect for the producer, designer, or brands being showcased. Unless otherwise instructed, you should wear black from head-to-toe. Comfortable, low-heeled or flat shoes are crucial as you will be on your feet from start to finish! Lastly, refrain from the urge to wear lipstick. The last thing you want is to get a makeup smear on the clothes. For an interview, wearing the correct business attire is very important. A pant suit for both men and women is always an ideal choice. When wearing a dress or skirt, wearing a blazer to match is suggested. Remember, the individual you are meeting with is your potential employer, so you want to make sure you look polished and professional! Knowing how to dress for a professional occasion doesn't have to be a daunting task! Planning outfits may seem difficult now, but practice makes perfect! Grab inspiration from the outfits above, and add your own personal style to make them yours. If you have a question about what to wear, or want help creating that perfect interview ensemble, check out my Polyvore account! Send me an email regarding the occasion and describe your personal style. 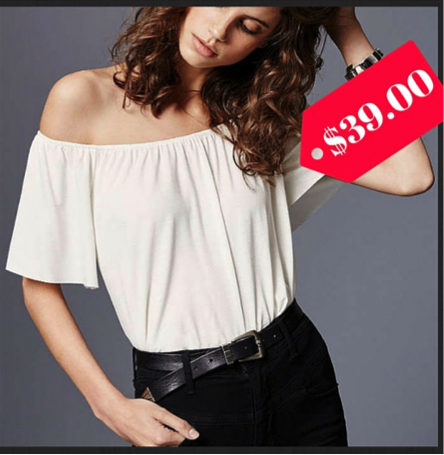 I can then tailor a unique look just for you! Whether a self-proclaimed Instagram addict or a grammer fanatic in denial, every social media dweller knows which IG’ers are considered their faves. You know what I'm talking about.... the people with photos so stunning you actually make a conscious effort to read their captions, leave positive comments on them, and tell your friends how awesome they are with overly enthusiastic praise, aka “You NEED to follow them!”? Yes. There is valid truth in concluding that some social media stars are simply better than others, especially in terms of those who share fashion related content. In our first post on the NuView blog, I’ve rounded up a list of some of my favorite fashion-related Instagram accounts. Whether their posts are more creative, more engaging, or more beautiful, these Instagrammers have something of value to offer. Their feeds are definitely worth following, so check them out. You’ll be glad you did! Without further ado, here is my list of 10 Instagrammers You Need to Follow. This Aussie native’s feed is about as cohesive as cohesive gets. A talented photographer and stylist, Amanda is the founder of OracleFox.com, a premium fashion and style destination. On Instagram, the creative professional showcases work from her latest collaborations and editorials. A stunning curation of crisp imagery in neutral tones of grey, black, and white offer endless inspiration, and give you a glimpse into her luxurious, jetsetter life as an internationally recognized industry leader. Sazan Hendrix is an LA based blogger, youtuber, and wife to her hilarious college sweetheart turned husband/photographer, Stevie Hendrix. Sazan launched her blog while she was a student in the Radio, Television, and Film program at UNT. After gradutation, she moved to Los Angeles and pursued blogging and hosting as a full time-career. Since then, Sazan has gone on to host a fashion segment on E! news, worked with major retail brands, and spoken at numerous conferences across the country, including one exclusively for students at NYU! Matt "the Sunflowerman" creates illustrations that are exclusively focused on menswear and men's style. His secondary instagram account, "@thedailyfashionproject" is an extension of his original account "@sunflowerman," and is where the artist displays illustrations that are sponsored by brands. He believes that an "illustration... inspires the viewer to look beyond the image and see themselves." I have to admit, when I look at his images, the main thing I envision is myself arm in arm with one of his illustrated dudes. Matt's illustrations are so well-done, and the men in them so dapper, his artistry inevitably functions as a lesson in class for all his gentlemenly followers. What is there to say about Marissa Webb other than that she is the is truly incredible in all that she does. Not only is she the Creative Director of Banana Republic, but she is also the designer behind her own clothing brand Marissa Webb NYC, and a Resident Stylist at WhoWhatWear.com. What do I like most about her Instagram account, you ask? There's a sense of attitude and strength in all of her content. Her words and photos leave women feeling empowered, like they're able to achieve anything so long as they're willing to put in the work and stay focused. Tony Trahan is kind-of the total package. Represented by Campbell modeling agency out of Dallas Texas, Tony Trahan has expanded from his modeling career and begun to explore blogging and photography as additional interests. A regular in Dallas fashion shows and commercial campaigns, Tony's sense of style and eye for quality fashion images make him the ideal creative ready for takeover of the Dallas fashion scene. Blue eyes, six-pack abs, and stunning profile aside, this model has a lot going for him. Margharet Zhang is a writer, model, stylist, photographer, and creative director based in Sydney, Australia. She is also currently pursuing her Bachelor of Laws at The University of Sydney. Full of ambition and creative instinct from a young age, Margharet had an unconventional start in the fashion industry. After launching her blog and convincing her school to let her go to fashion week on scholarship, Margaret found herself mixing and mingling with some of the industry's brightest stars. Since then, Margharet has styled, directed, and shot editorials for Harper's BAZAAR, Marie Claire, and others. Her mix of skills make her incredibly rare, and the fact that she is able to balance her professional identity with her life as a student only elevates her rarity. Notably, Margharet is also queen of the flatlays (she even has her own hashtag, #zhangflat). On this account, Sophia Macks, founder of Beyond the Mag, shares a curated collection of conceptual fashion imagery that packs a lot of punch. Each image is stunning in its own right, and contributes to a feed that is bursting with inspiration for the creative soul. Be sure to check out the captions on each photo to discover the amazing artists, set designers, photographers, and stylists who've helped bring each thought-provoking image to life. One of fashion-blogger Little Black Bloot's right-hand gals, Lo Caballero is a blogger, stylist, and merchandiser from sunny Los Angeles, California. What I like most about Lo's feed is not just her flawless makeup photos and shots of her flowing, aqua tresses, but the consistency in her sense of style. She can rock her signature oversize black hat and a pair of belted, high-waisted denim shorts like it's nobody's business. Her company partnerships are always true to her aesthetic and reflective of her personal brand, something to be appreciated in a bloggersphere that is often overridden with inauthentic sponsored posts. When I think of the perfect girl-next-door, I think of Caitlin, a PR graduate from UNC-Chapel Hill, self-proclaimed Southern Bell, and the writer behind the popular blog Southern Curls and Pearls. Her outfits can be described as casual yet elevated, and include pieces that are perfect for college students. For fall specifically, think cozy ponchos, fur vests, checkered button ups, and plaid blanket scarves... classic pieces that can be mixed, matched, and worn in a variety of ways! I'm sure other Merchandising Inc. members would love to know, who are some of your favorite fashion grammers to follow?